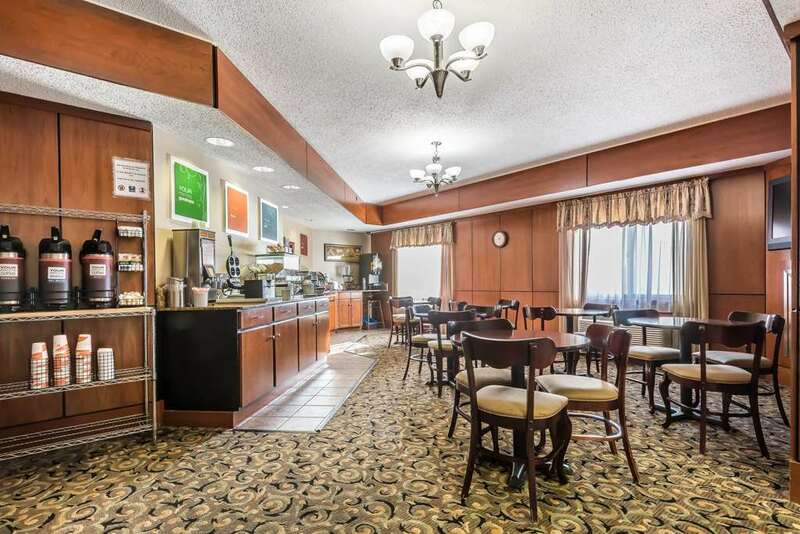 Get everything you need to be at your best when you stay at our pet-friendly Comfort Inn Batavia-Darien - Amusement Park Area hotel in Batavia, NY. We are close to the Batavia Downs Casino and Horse Racing Venue, JELL-O Gallery, Darien lake Performing Arts Center and the Akron Airport. Each guest can enjoy our free breakfast, free WiFi, fitness center and laundry facility. Each guest room comes equipped with a coffee maker, hair dryer, microwave, refrigerator and flat-screen TV. Sign up for our Choice privileges program and earn rewards with your nest stay.